Giovanni Valenti and his son Alessandro started Cantine Valenti in 2004. Unlike investors that have come from far and wide, the Valentis are proudly from Cantania and thus have always had a strong connection to Etna. Cantine Valenti focuses mainly on Nerello Mascalese, the true red varietal of the volcano. On the white side Carricante is their focus, again with Etna origins. The vineyards are some of the highest on Etna, the reds can be found at 700-800 meters above sea level within the famous Guardiola Cru. This section of the volcano marks the highest vineyard sites on Etna, some of which can be found at about 1,000 meters. Higher than that there will only be lava. The Guardiola happens to be the name of a street in Passopisciaro named after the “guardiola”, who were guards that would take shifts standing in a tower overlooking this side of Etna looking for fires. This street of course runs right through this cru site, hence the name of the vineyards here. The hope on Mt. Etna is that wines from this part of the volcano (and others for that matter) will have this listed on the bottle so that consumers can begin to understand the diversity of wine from one part of the volcano to the other. Etna is full of small “contrade,” different sub-districts, all of which have their own story to tell. 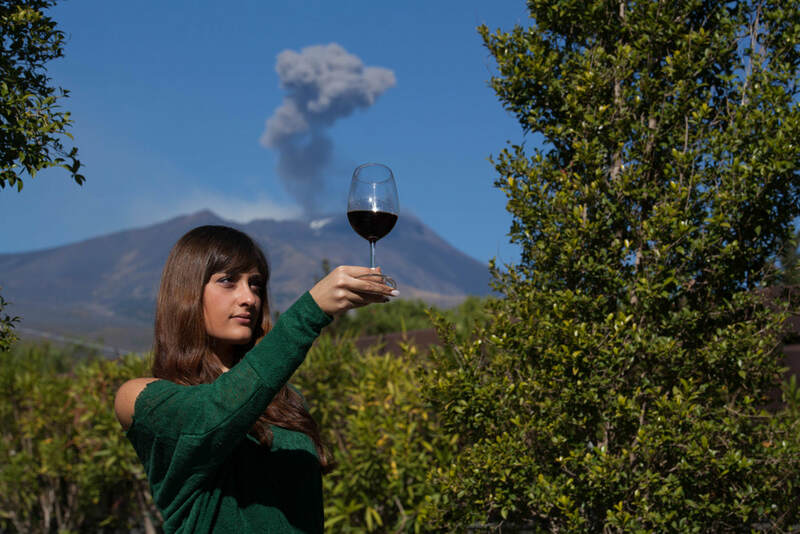 Just like the best wine regions in the world, certain “cru sites” should eventually arise for both the white and red wines of the volcano. God must have had a hand in the creation of these vineyards, as Sicilians have no other explanation.